Not all murder victims are mourned, but the perpetrator must always be punished . . .
For Robert Church, superintendent of the Parramatta Female Factory, the most enjoyable part of his job is access to young convict women. Inmate Grace O’Leary has made it her mission to protect the women from his nocturnal visits and when Church is murdered with an awl thrust through his right eye, she becomes the chief suspect. Recently arrived from Port Macquarie, ticket-of-leave gentleman convict Hugh Monsarrat now lives in Parramatta with his ever-loyal housekeeper Mrs Mulrooney. Monsarrat, as an unofficial advisor on criminal and legal matters to the governor’s secretary, is charged with uncovering the truth of Church’s murder. Mrs Mulrooney accompanies him to the Female Factory, where he is taking depositions from prisoners, including Grace, and there the housekeeper strikes up friendships with certain women, which prove most intriguing. He really must do something about that door, he thought as he crossed the yard back to his quarters. Its top hinge was a little loose and the resulting scrape woke the women. What transpired after he entered generally woke them anyway, but there was a moment he relished, the blank wall of their combined unconsciousness, none of them with any awareness yet of what was about to happen to whichever sleeping body was the focus of his current interest. Travel into Australia’s darkest past with Meg and Tom Keneally’s The Unmourned. 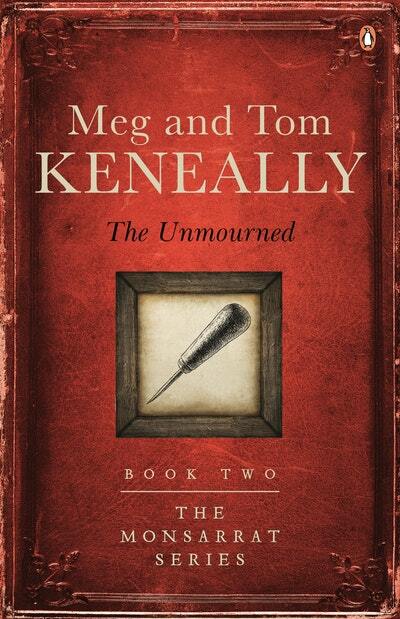 Research for The Unmourned led Meg Keneally into Australia’s brutal past. Settle down with a cup of eight down and test your skills. 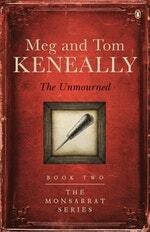 Love The Unmourned? Subscribe to Read More to find out about similar books.